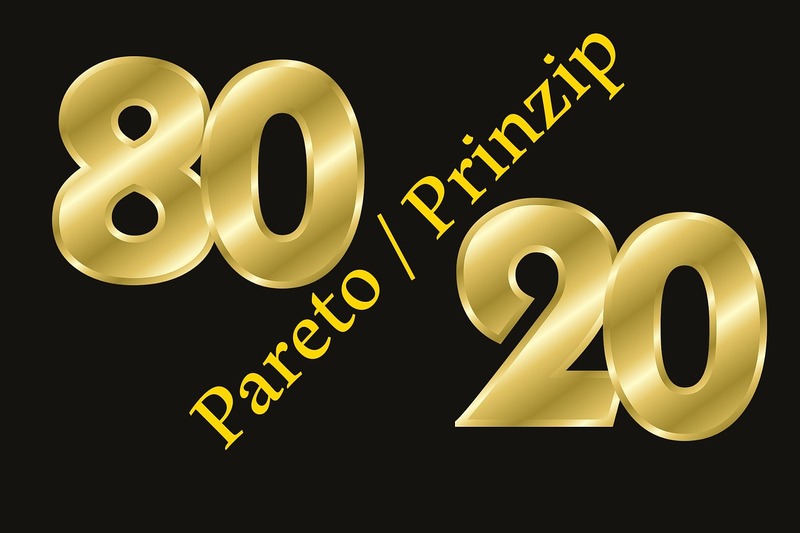 The Pareto Principle states that for many events 80% of the effects come from 20% of the causes – the 80-20 rule. While trying not to sound like a regurgitation of an old Economics’ professor the Pareto Principle can be aptly applied to the sales pipeline – generally speaking 80% of revenue comes from 20% of leads. But what does that really mean? In essence, this means that within the volumes of leads found by the marketing team each day only 20% of these, when followed up by the sales team, will come to fruition as notably profitable leads loading the pipeline. Knowing that such a principle exists doesn’t mean we have to be bound by it. In fact, if we know and understand the parameters and reach of our sales and marketing teams, we can capitalise on this information, using it to load our pipelines with much more valuable leads. We know that the leads that make up that 20% are quality leads so what’s to stop you from identifying what makes them so valuable and spending future efforts on finding more leads of equal quality? Traditionally, within larger organisations the sales and marketing teams have always been seen as two separate entities and quite often disconnection. In recent years more and more organisations have seen the benefits of bringing these two teams into alignment; if not combining them. The marketing department functions to create a want and desire for the brand within the ideal target audience; creating awareness, interest and credibility – engaging with potential customers during the beginning stages of their buyers’ journey. It is the role of the sales department to then take these leads through the remainder of the journey to the final stages where they become fully buying customers. Getting more high-quality leads requires no increased input from the marketing department to increase their content output or expand their reach. For all that would achieve would be a higher number of potential leads for the sales team to sift through in order to find those that match the criteria of their golden 20%. Constant feedback and co-ordination between the sales and marketing teams is vital for successful lead generation. While there is no universal definition as to what qualifies as a lead or what is sales ready, it is essential that both areas within the organisation are unified on their understanding of what qualifies a lead and is able to distinguish between one which is ready for sales interaction and one which needs to be nurtured until sales ready. In order to build and stack your pipeline successfully with more leads of the same quality as the golden 20% both Sales and Marketing need to be on the same page as to what qualities and characteristics should be identified throughout the marketing process before a lead is passed on to the sales team – Marketing Qualified Leads. Despite how highly qualified these MQLs are, not all will progress much farther along the sales cycle and so each will go through a further screening process conducted by the sales team to become Sales Qualified Leads. Numerous organisations are taking the steps to align their Sales and Marketing teams in order to drive results and increase the number and quality of the leads generated. To generate a successful campaign Route To Market become as integrated into our clients own Sales and Marketing team as possible, often providing that vital bridge between the two. This means that, together we have to understand the goals of an organisation and how it hopes to achieve them; allowing us to seamlessly integrate our services and expertise into the overarching business strategy. To produce high quality leads for our clients we must understand what qualities, characteristics, needs and opportunities they are looking for. We have to understand from their Sales teams which are the definable characteristics of the leads that make up their golden 20% – just as any successful Sales and Marketing team would have to establish. At Route To Market we routinely enter into discussions and meetings with our clients about the opportunities we are sourcing and this information is compiled to allow us to deliver continued success throughout the campaign delivery and to the level of quality agreed prior to the campaign start where we set criteria of qualification to ensure we are bridging the gap between MQLs and SQLs – allowing our clients to load their pipeline with high quality leads. Bridging the gap between SQLs and MQLs can be a difficult process and one that is only made easier when Sales and Marketing are working with the same goals in mind.